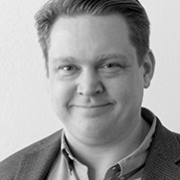 Agnar co-founded Jónsson & Le'macks in 2003 and since then the company has grown to be one of the leading advertising agencies in Iceland, working with clients such as Audi, Skoda, Carlsberg, MasterCard, Nike and several local brands. He started out in the advertising industry as a Graphic Designer at Gott Folk McCann-Erickson before branching off into music and co-founding a techno night club and later becoming Director of Communications at the Iceland Airwaves Music Festival, before co-founding J&L in 2003. In 2012, the company participated in the creation of the mobile game developer Plain Vanilla. Two years later, J&L created a Venture fund with other investors, contributing both capital investments and product and marketing development expertise. After graduating from the Commercial College of Iceland, Agnar studied Business Administration at the Reykjavik University and completed various short courses in Communication, Branding and Marketing.